The U.S. Environmental Protection Agency (EPA) announced its Integrated Municipal Stormwater and Wastewater Planning Approach Framework to help local governments meet their Clean Water Act obligations. 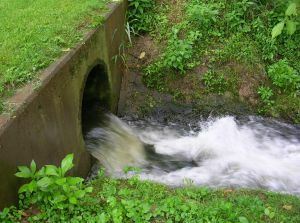 This framework will assist the EPA’s regional offices, states and local governments in developing voluntary storm and wastewater management plans as well as implementing effective integrated approaches that will protect public health by reducing overflows from wastewater systems and pollution from stormwater. EPA coordinated with a variety of stakeholders, including publicly owned treatment works, state water permitting authorities, local governments and nonprofit environmental groups in the stormwater runoff and wastewater framework. It discusses the pursuit of innovative, cost-saving solutions, like green infrastructure to aid communities as they develop plans that prioritize their investments in storm and wastewater infrastructure. Also, the controlling and managing releases of storm and wastewater into the nation’s waters are highlighted in the document. When wastewater systems, many of which are aging, overflow they can release untreated sewage and other pollutants into local waterways. Overflows can carry harmful pollutants threatening water quality, including bacteria, metals and nutrients. They can also contribute to disease outbreaks, beach and shellfish bed closings and fishing or swimming advisories. Municipalities are often faced with difficult choices about how to direct their funds to solve stormwater discharges that contain many of these pollutants. Visit the EPA’s website, http://cfpub.epa.gov/npdes/integratedplans.cfm, to see the framework document. The agency also provides practical examples of how municipalities are implementing this approach. For more information on green legislation and green housing trends, visit our site. For more on how Atlanta real estate is going green, visit Atlanta Real Estate Forum. This entry was posted in Featured, Green Building Legislation, Green News, News and tagged Atlanta Real Estate, EPA, green housing trends, green legislation on June 13, 2012 by Carol Morgan.